Emmental Valley as remarkable as its cheese. 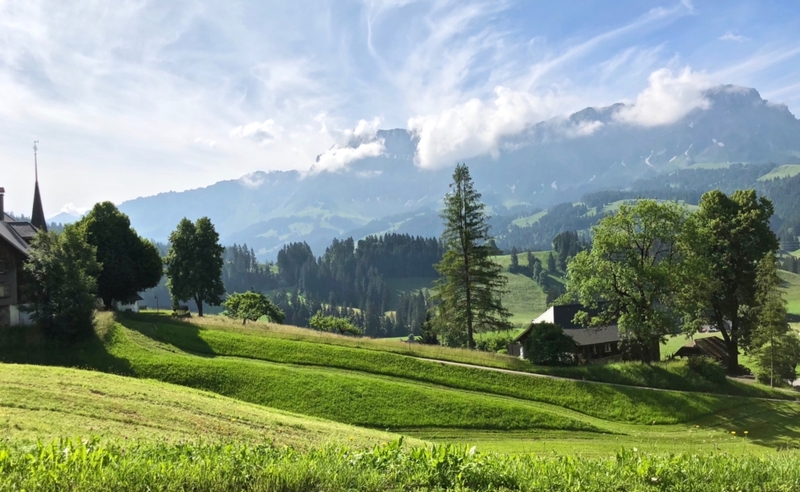 This iconic Swiss region is well-known for its rolling green hills, crisp air, shaded woods and, of course, signature cheese with its large holes. The name of the world-famous cheese comes from the valley (Tal) of the river Emme in the canton of Berne. The cheese has been producing here since the 13th century. Currently, around 200 village cheese dairies are producing the original Emmentaler AOP. Emmentaler AOP Switzerland is made using fresh raw (unpasteurized) milk from cows fed on grass and hay, but not silage. The use of any additives and genetically modified ingredients is prohibited. It takes around 12 litres of milk for 1 kilo of cheese. Emmentaler is a hard cheese, the salt content at 0.5 g / 100 g is extremely low. The cheese is aged in traditional cellars for at least four months. There are different age profiles of Emmentaler. The older the cheese is, the more intense its aroma and taste are. One of the most special types is cave-aged Emmentaler, aged in the damp and cool rock caves. Furthermore, if you are as excited about cheese as I am, you can visit one of the cheese dairies. More details about that as well as more activities in the valley you may always find on the Emmental’s official website. Besides Emmentaler itself, a lot of different types of cheese are produced in the region. I had a chance to visit an amazing Rüegsegg cheese dairy in Röthenbach. This family-run dairy, located at 1050m above sea level, making it the highest commercial dairy in the Emmental. In addition, in 2011 it was officially certified as a mountain dairy. The hospitable owners, Karin and Walter Rötlisberger-Reusser, are the second generation of cheese makers. They deliver the exceptional quality products as a result of hard work, gift of nature and harmonious work between people in the community. Until March 2002, the dairy produced Emmentaler. However, after the Emmental cheese crisis on that year, Rüegsegg took an opportunity to produce other cheese. Nowadays, they produce 6-8 different types, like Röthenbach Mutschli, Chuderhüsi Turmchäsli, Berner, Bauernstolz, Flösserkäse, Raclett- and Fondue-cheese. If you are curious to try this delicious cheese, you can order it on the Rüegsegg’s official website. Yet, cheese is not the only culinary delight to discover in the Emmental. 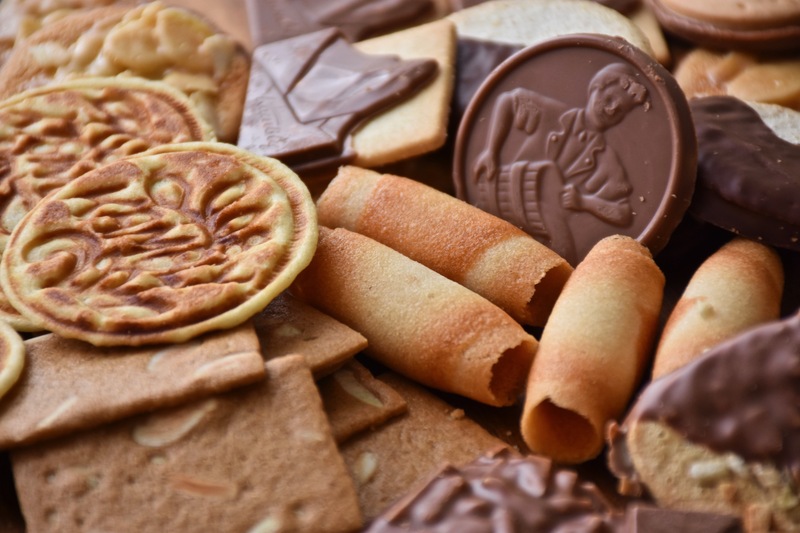 The most delicious Kambly cookies, have been producing at Trubschachen since 1910. I found The Emmental inspirational and relaxing. it has a lot to offer for leisure and family activities. Once in Switzerland, visit the valley and enjoy its beautiful lush meadows, traditional farmhouses and green pastures.